China's ZTE is locked in agency talks over a wide-ranging pan-European brief to increase brand recognition among Western consumers. ZTE is currently the fourth largest smartphone maker in the world, but has a far smaller footprint in the European market than in Asia. The brand, which has traditionally gained market share through lower priced handsets, is seeking to reposition itself as a higher end provider as 4G mobile technology spreads. It is thought part of the brief involves increasing its social media numbers. 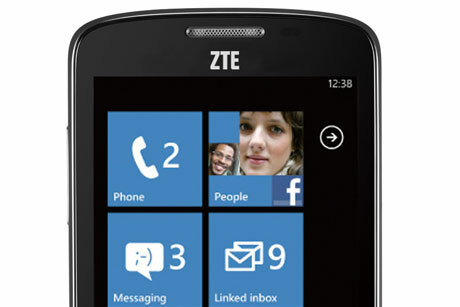 ZTE UK’s Facebook likes currently number just over 20,000 and its Twitter followers just over 8,000. ZTE employed British rap star Professor Green to act as an ambassador for the brand in 2011 and 2012. Promotion of the tie-up was handled by Axicom, which has worked for the brand for nine years and will retain b2b duties. The new drive comes amid fierce competition in the smartphone market, with a number of brands nipping at the heels of the ubiquitous Apple and Korean giant Samsung. BlackBerry, Huawei, HTC and Nokia are all vying for the third spot in global sales of smartphone brands. ZTE is following its Chinese contemporary Huawei in refocusing its comms. As part of a push to boost its prospects in the UK, Huawei enlisted W Communications to handle consumer PR last month and Pelham Bell Pottinger and Harvard PR to handle corporate and b2b PR respectively in September last year. Both Chinese brands face a challenge in Europe following reports that EU trade officials are considering investigating the pair over violation of anti-dumping and anti-subsidy guidelines. BlackBerry and Nokia have also concluded global agency reviews, appointing Text 100 and Cohn & Wolfe respectively, as they seek to regain lost market share in the rapidly changing market. HTC, the Taiwanese manufacturer, brought in Dynamo at the beginning of June for a consumer drive of its flagship HTC One handset.